Director of Right Angle, Steve Gaskin spent the day with the incredible Red Arrows. Here’s is what we learned from The Red Arrows and how you can apply it to everyday business and leadership. 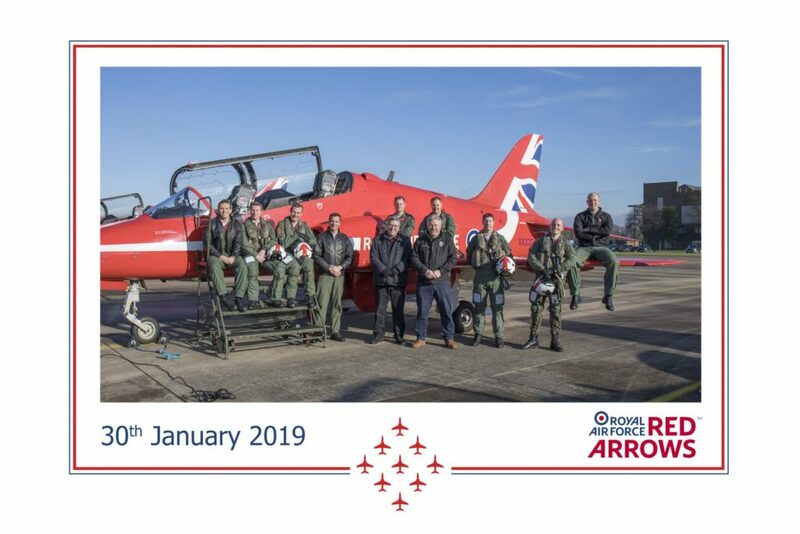 Recently, Right Angle Corporate had the privilege of spending the day with the Red Arrows. Here’s is what we learned and how you can apply it to everyday business and leadership. How tight is your team? How often do you talk to each other verbally? The communication of the Red Arrows is so acute they can make the manoeuvres just by using body gestures. For obvious reasons each pilot knows exactly what each other is doing and is in constant communication. The Red Arrows literally trust each other with their lives. The team know each other so well, they can predict what their colleagues are thinking and what they will do next. Our company’s High Performing Team (HPT) marks “trust” as one of the lowest variables in UK business today. Trust extends to more than just the superficial. This was one of the most impressive parts of the day. After a sortie, the Red Arrows will not fly again without a de-briefing. How often do we move onto a new job without examining the learning points? Interestingly, the de-briefing was de-personalised. In other words, pilots are referred to as a number. This is particularly useful for feedback given to the leader! The improvement circle used by the Red Arrows is Brief – Fly – Debrief – Practice (the fault) three times and then do it all over again. At this level the Red Arrows only concentrate on faults and not praising each other. That is a measure of a team performing at the highest level. Praise can be good, but concentrate on improving the faults rather than on praising the work done. There is huge peer input to the Red Arrows’ selection process. How often do managers select a new member of staff, only to find they do not fit in with the team? Always ensure that you select the best qualified person for the role and someone who fits in well with the team. We see it all the time especially on the high street, business failing to evolve or change will wither and die! The Red Arrows are always developing new products to keep their customers “buying” and to draw in new “prospects”. The Red Arrows improve by taking small steps. As highly motivated businesses we want to conquer the world and do it quickly. Small incremental steps, test and measuring new products, gauging customer reaction and feedback have made our company a success over 10 years. “Red 1”- is currently Squadron Leader Martin Pert. He is, in every sense of the word, a leader. He fly’s at the front of the diamond formation, where the less experienced pilots stay close to him, whilst experienced pilots help support new pilots. The leader during the briefing really sets the tone, strategy and comprehension of the task. Good leaders deal with the task, the needs of individuals and the needs of the team while ensuring that everything is understood by everyone. At this time of year, all Red Arrows pilots are wearing green suits. They are not permitted to wear the red suit until they have re-qualified each year (usually just before display season). Are our skills fit for purpose “year on year” without any professional development? Do you ensure all staff are given the opportunity for professional development year on year? There are just 9 Red Arrows pilots. They are supported by a team of 130 other people; mechanics, engineers, supply, ground crew and comms. Each member of the team knows exactly what is required. The most common problem with business today is lack of communication, and within that we often hear is “we do not communicate properly we work in silos (solo mentality)”. How do you overcome this? The answer – look to The Red Arrows. Whilst the above lessons are useful for many businesses, for those of you who may still want that extra input, we would love to help make your team a High Performing Team. Take a look at our Team Development Experiences to see how we can help you today.